Although Avatar and The Hurt Locker landed 9 Academy Award nominations each, I foresee the former and director James Cameron enjoying a clean sweep. 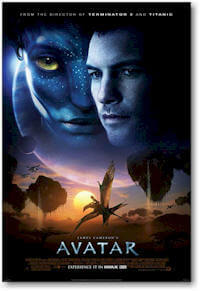 Breaking all box-office records, Avatar is a juggernaut that nobody will be able to stop on Oscar night. This means that The Hurt Locker, which was directed by Cameron's ex-wife, Kathryn Bigelow, might very well be shut out entirely, unless the Academy decides to split their votes between the two in the Best Director and Best Picture categories. The most hotly-contested of the major categories is Best Actress, where the least deserving, Sandra Bullock, is the sentimental favorite. However, I anticipate that perennial-nominee Meryl Streep (16) will prevail in the most difficult contest to handicap. That's not the case for the other three acting categories where nominees Jeff Bridges, Christoph waltz and Mo'Nique may as well be making room on the their mantels for a new trophy. Overlooked: Taken, Drag Me to Hell and My Sister's Keeper. 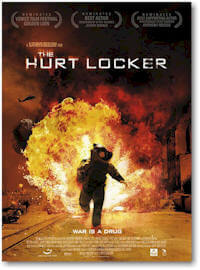 Since this category is ordinary coupled with Best Picture, that makes James Cameron this critic's, although the oddsmakers have installed his ex, Kathryn Bigelow as a slight favorite for The Hurt Locker. This is an easy category to handicap, even though it's not Bridges' best performance, because the Academy is inclined to reward never-recognized actors late in their career for their body of work. It's great that Sandra Bullock (The Blind Side) got all the early accolades, but Academy-darling Streep's delightful impersonation of Julia Child is apt to prove irresistible when it comes time to cast ballots. Deserves to Win: Gabby Sidibe (Precious) will be ignored because she's a newcomer, despite being absolutely mesmerizing in her acting debut. Not much competition here for Waltz's nonpareil performance, other than Woody Harrleson (The Messenger) who will run a distant second. I said, "Just give Mo'Nique the Oscar!" 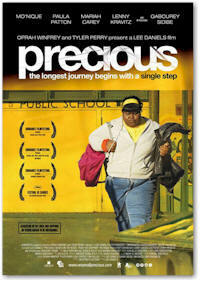 the same day I saw Precious back in October, and nothing I've seen since has made me regret making that premature call. Overlooked: Cameon Diaz (My Sister's Keeper) and Famke Janssen (Taken). Note: I only passed on four categories: Foreign Language Film (which I have an abysmal history f handicapping) and the three short categories: Live-Action, Animated and Documentary. Original Song: The Weary Kind (Theme from Crazy Heart) by Ryan Bingham and T-Bone Burnett.